We had a very nice visitor at Above Category this past Saturday. His name is Brian Sarmiento and he is the Marketing Manager for Campagnolo USA. 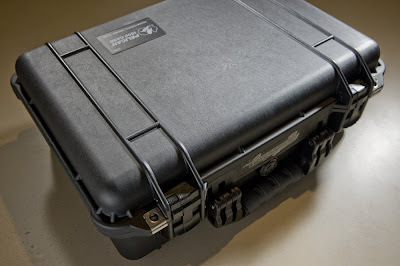 As nice as it was to meet Brian, I was much more interested in the contents of the pelican case that he was carrying, looking like some spec-ops guy with his rifle and optics case. In hindsight, he might want to think about hiring one of these guys as the contents of the case would be a very tasty temptation for the majority if not all cyclists out there. Damn, Dean saw it first and gets to touch it first as well? 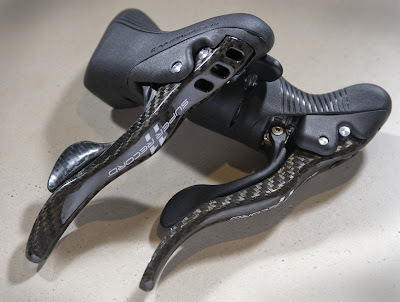 Wasn't sure how I really felt when I saw the first pictures of the new Ergo levers on Cycling News, but trust me, these are nice. Everything was very well thought out, and all the changes have a purpose. You can now fit three fingers between the handlebars and the levers, which is nice, and as such means that the lever bodies are longer. 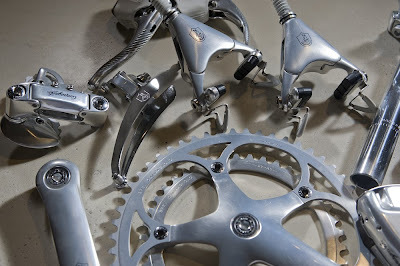 Campagnolo also says that you should never have to service the internals, which if you have levers that are over 10 years old like I do, may seem like a brash statement, but if true will be quite nice. The levers are also a little closer to the handlebar, which will make my wife happy, but come with a shim for folks with really big mitts. But I really doubt anyone will need those. 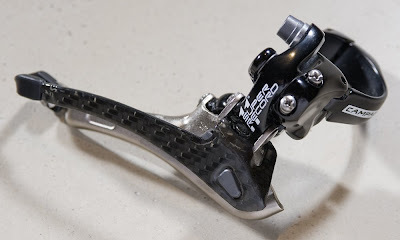 They have also used a dual compound grip which supposedly makes the levers more comfortable, though I have never had issues with that in the older models. 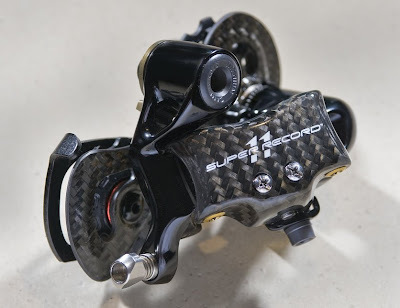 The Super Record also comes with little ram air ducts on the top of the brake levers. 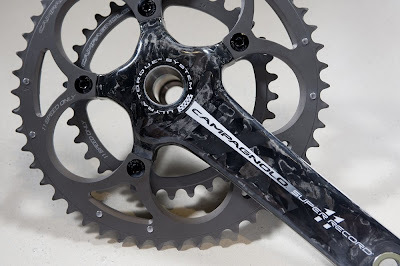 Lastly, and most importantly, Campagnolo has kept all the action the same in regards to the shifting patterns. The rear mech. Beautiful. First big improvement here is stiffness. 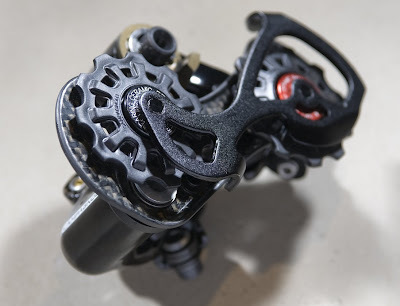 A stiffer derailleur is a better shifting derailleur. Not sure how shifting can get much better than the old one, but put me first in line to find out! The pulley wheels are actually made out of rubber. 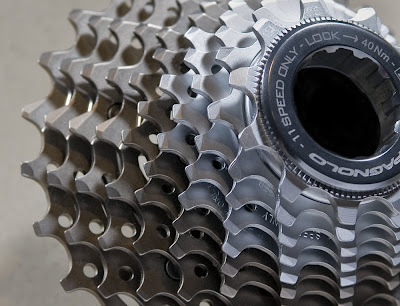 Because of this the drive train will run quieter and last longer. Yep, ceramic. 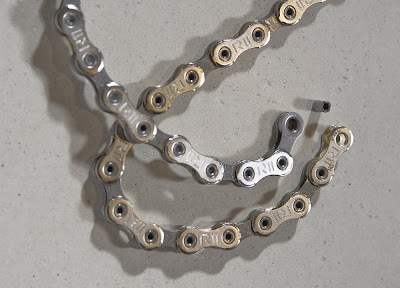 And not just any ceramic, but special German made, much stronger steel races that will not wear out and let Campagnolo run oil instead of grease for even less friction. Word is service intervals will be the same as grease. This is cool, very cool. 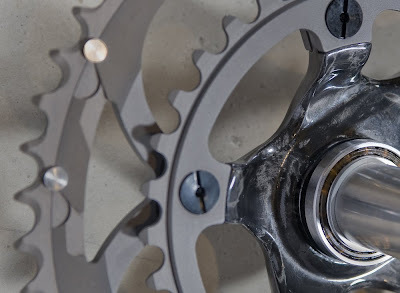 I remember when I was a Jr. and I would tear apart my bottom bracket and hubs before a time trial and replace the grease with oil in the attempt to reduce friction and smash course records ala Ritter, you know what I'm talking about? Sweet and smooth. 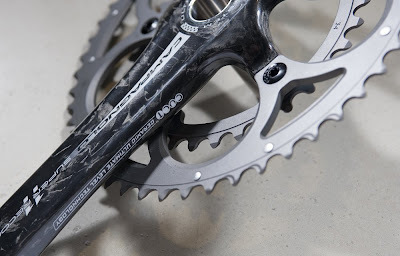 Time for a little game of catch-up Shimano and SRAM? Front Derailleur is nice, they upgraded this as well, though for the life of me I don't really remember what exactly. I mean it's a front derailleur you know? They usually don't keep me up at night, no matter how nice they are. But in light of how nice the new Super Record is, I can't see it as being anything but superb. 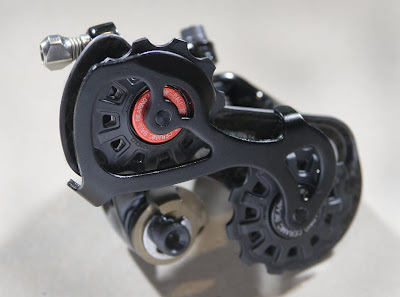 There are still the brake calipers which are unchanged except for some new titanium bolts and the bottom bracket cups which are also treated for a longer life. Again, I am so excited to ride this new group. Will this new group keep me up at night as much as THIS ONE though? Also, we want to give a big thank you to Dean Bentley who took these photos. Please keep in mind that they are his property and if you would like to use some, contact us. Thanks!